Home › Electronics › Whistler Xtr-538 Laser Radar Detector High Performance 360 Degree Max Coverag..
Whistler Xtr-538 Laser Radar Detector High Performance 360 Degree Max Coverag..
Total Band Protection - Provides Complete Band Coverage of all Laser, Radar (X, K, and Ka bands), VG-2, and Safety Radar bands. 360 Degree Protection - Units with 360 protection detect signals from all radar, laser, VG-2 and safety radar systems wherever they come from; front, rear or from the side. 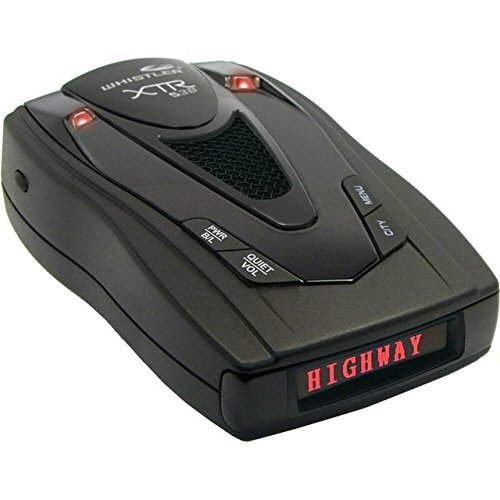 VG-2 Detection -The VG-2, also known as a "radar detector - detector," is a special receiver used by police to detect signals radiated by a radar detector. Thanks to Whistler's patented VG-2 cloaking technology, your detector will remain invisible to VG-2 detection. 3 City Modes/Highway Mode- Highway mode provides full audio and visual warning of laser/radar systems while maintaining full sensitivity, and is the default setting of Whistler laser/radar detectors. City mode helps reduce the annoyance of automatic door openers and burglar alarm alerts by providing an initial alert (same distance as Highway Mode) then remaining quiet unless the signal strength becomes very strong.